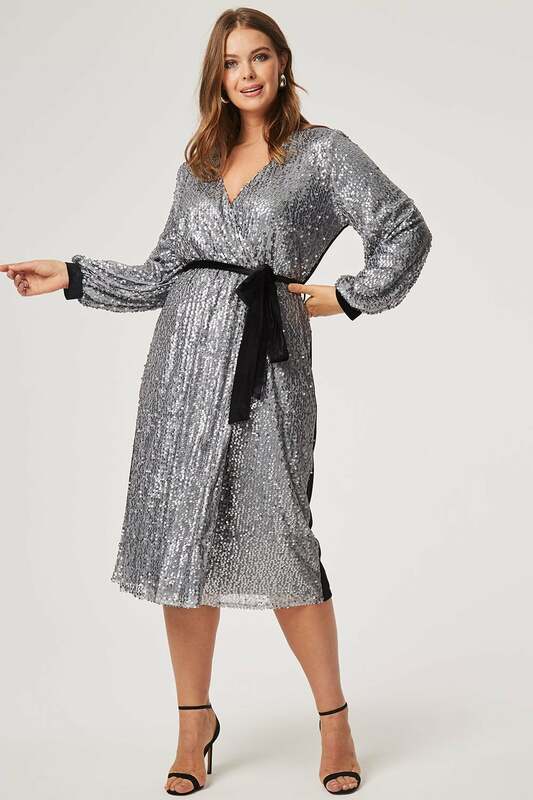 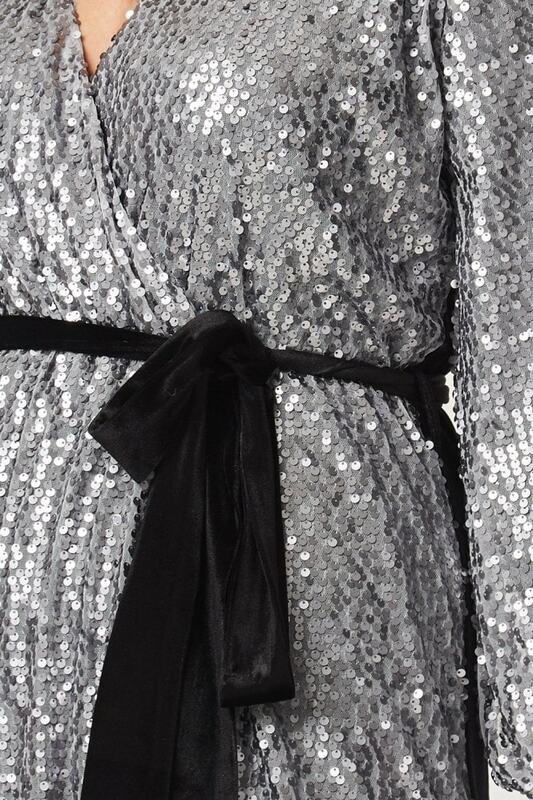 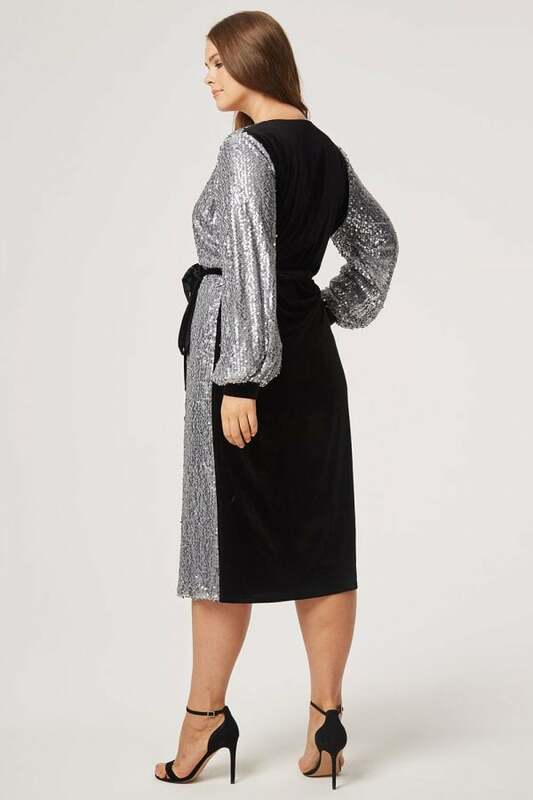 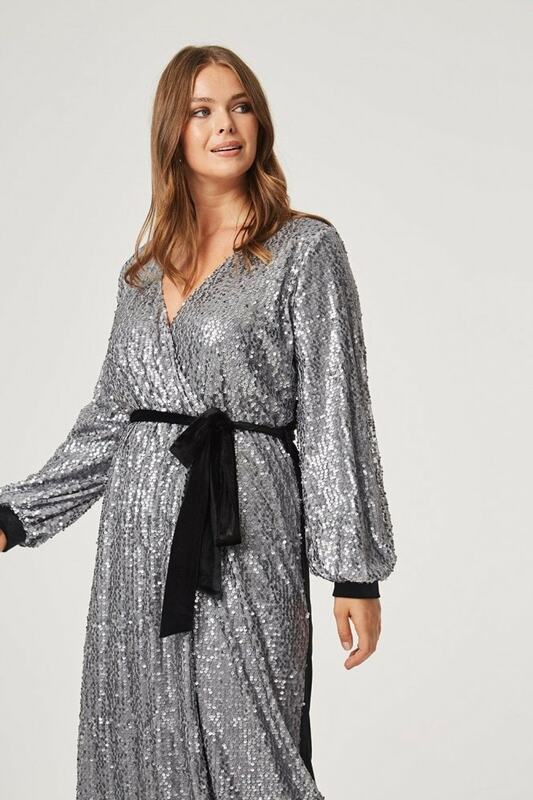 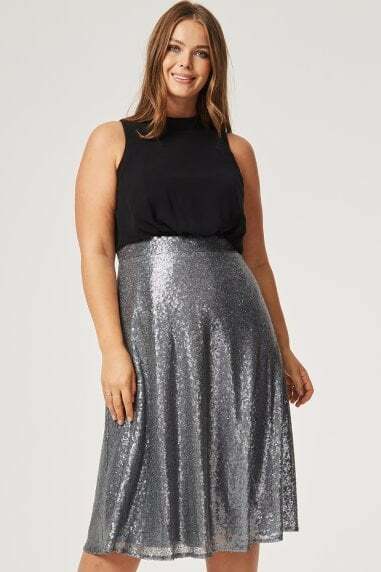 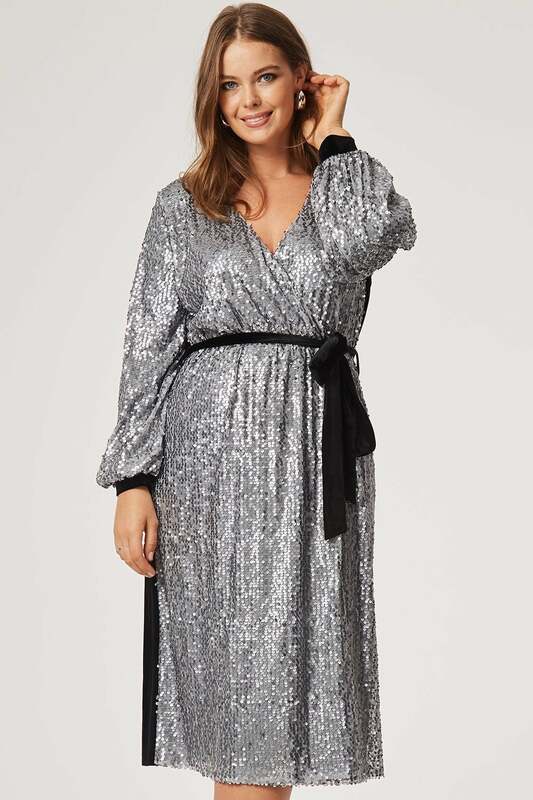 Knee-length wrap over shift dress in matt sequin and velvet. 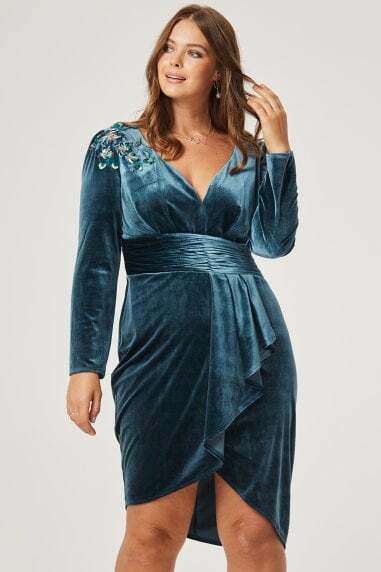 Long sleeves with cuffs, v-neckline and tie waist. outer1: 100%polyester - outer2: 95%polyester, 5%elastane -- lining: 100%polyester.